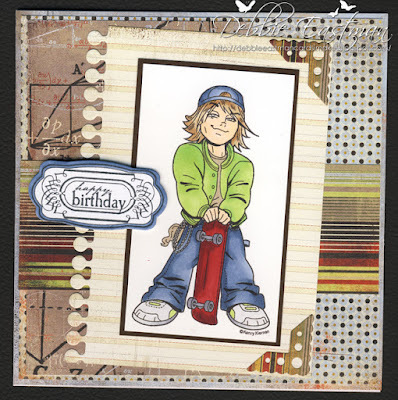 For my card today I have kept it clutter free as this one has to be posted. 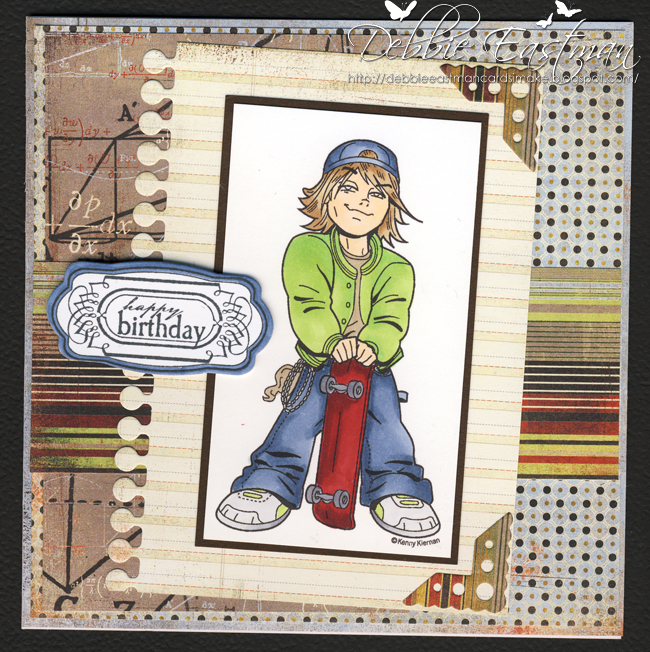 I have used the super cool Kenny K stamp Ryder cole I have also used Fanciful Birthday Notable sentiment and matching Die along with Notebook spiral Die and one of the corner die's. My Dp is Basic Grey Oxford.